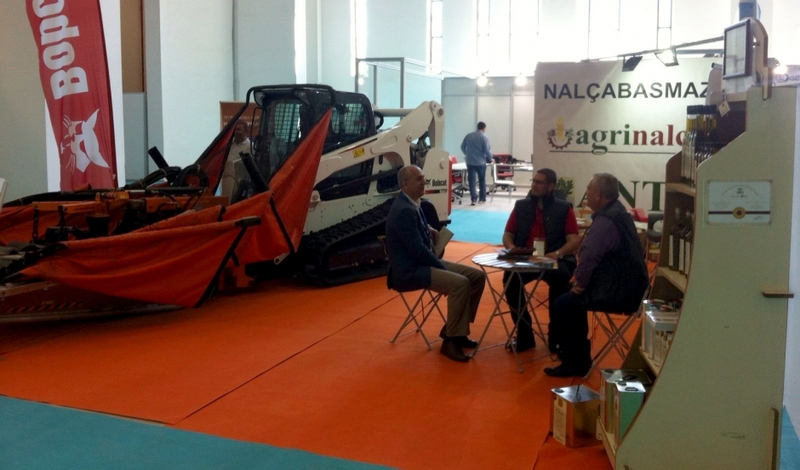 Agromelca, S.L., was presented at the Olivtech Technological Exhibition for Olive and Olive Oil through our dealer in Turkey, Nalçabasmaz, from April 27th to April 30th in Izmir (Turkey). We exhibited our VM1 harvesting equipment with its PNA80 aluminum platform. Mr. Murat Tungur from Agromelca Spain attended the event. He is responsible for the Turkish market. Mr Yahya, the person responsible for the distributor company in Turkey, was also present at the exhibition. There is a growing interest in our harvesting equipments in Turkey, both for collection of olives and nuts.